God offers us each year the season of Lent as a “sacramental sign” of our conversion,” and therefore we are summoned to–and enabled to–come back to the Lord wholeheartedly and in every aspect of our life. Pope Francis stressed this in his message for Lent 2018 (14 February to 29 March) presented today in the Vatican, by Cardinal Peter Turkson, prefect of the Dicastery for the Promotion of Integral Human Development, which was titled: “Because of the increase of iniquity, the love of many will grow cold” (Mt 24:12). In the message, the Holy Father took as a starting point Jesus’ words in the Gospel of St. Matthew (Mt 24:12), namely that, “Because of the increase of iniquity, the love of many will grow cold” (24:12). Warning against false prophets, the Pope stressed, these ‘prophets’ assume various forms, such as “snake charmers”, who manipulate human emotions in order to enslave others and lead them where they would have them go. False prophets also can be “charlatans”, who offer easy and immediate solutions to suffering that soon prove utterly useless. 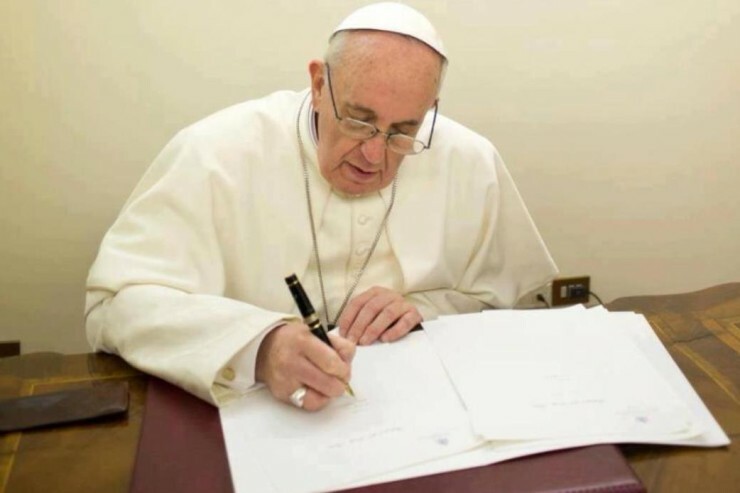 In order to confound the human heart, the Argentine Pope said, the devil, who is “a liar and the father of lies” (Jn 8:44), has always presented evil as good, falsehood as truth. That is why each of us is called to peer into our heart to see if we are falling prey to the lies of these false prophets. The Holy Father went on to warn against when our hearts become ‘cold,’ and asked faithful to reflect on when we become indifferent and isolated. While we may see deep within ourselves and all about us these negative signs, Francis said, the Church’ proposes a ‘soothing remedy,’ namely of prayer, almsgiving and fasting. Saying, ‘God constantly gives us a chance to begin loving anew,’ he encouraged all members of the Church to take up the Lenten journey with enthusiasm, sustained by almsgiving, fasting and prayer. Pope Francis concluded, praying that by listening to God’s word and drawing nourishment from the table of the Eucharist, may our hearts be ever more ardent in faith, hope and love.